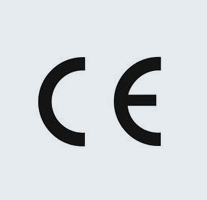 The CE mark is a conformity regulation that must be applied by law under the Construction Products Regulation (CPR) to products that are covered by EU Directives with harmonised European standards (contains Annex ZA) and from 1st July 2013 the UK must comply with this European Directive. Please understand that the CE Mark is NOT a quality mark, but a self declaration of product performance in reference to its product standard (with the exception of Reaction to Fire which requires independent testing at a recognised fire testing centre). Fire Hydrants (FH2 and Through bore hydrant only). Marshalls channel gratings manufactured in accordance with EN1433. Pipes - applied within the stencil mark. Fittings - featured on the sticker/label. Channel Gratings – integrally cast mark into the upper surface of the grating. The Declaration of Performance (DoP's) documents are available here for download.